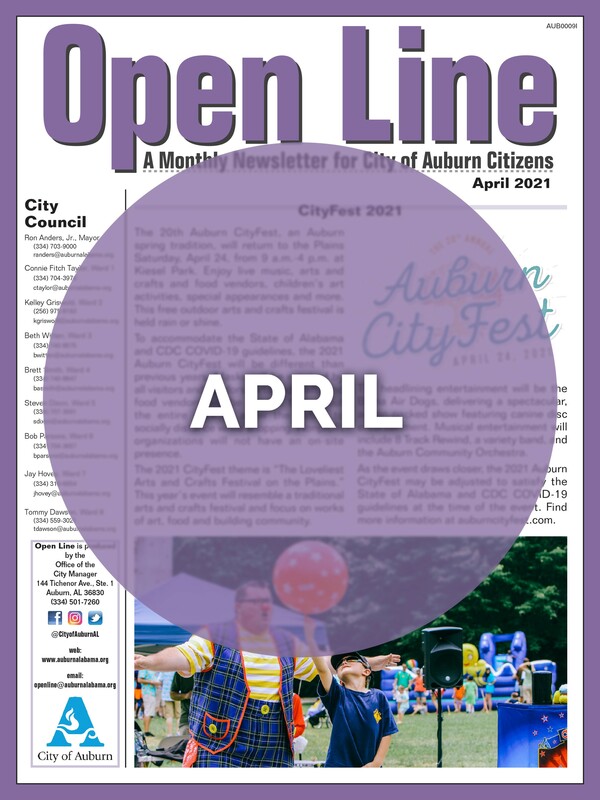 Auburn is a City that prides itself on strong citizen involvement. We have 22 boards and commissions that work diligently on numerous and varied issues facing the City. The City Council appoints task forces that study particular problems and opportunities and make recommendations to the Council. Our Council meetings usually are heavily attended. The City Manager conducts a citizen survey every year to gather the opinions on City services. Even with this strong citizen involvement in City government, we have enhanced the lines of open communication and accurate information about our activities. 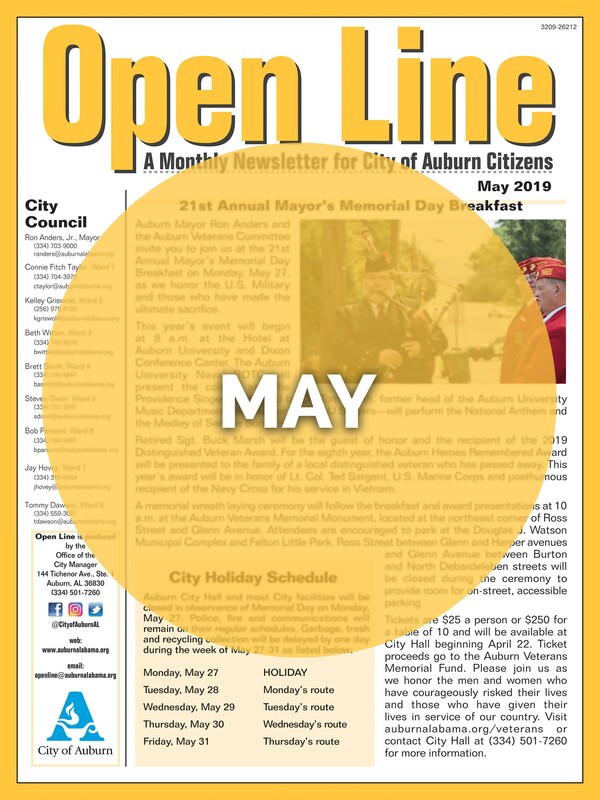 Therefore, we publish a monthly newsletter called Open Line in an attempt to inform you better of your City's programs, projects and plans. We want very much to have an "open line" between you and your City government. I hope that you feel that this is a valuable tool for you to know what is going on in your City. Any suggestions you may have for future articles or for improvements to the newsletter will be welcomed. You can communicate with us by telephone, email, letter or in person.